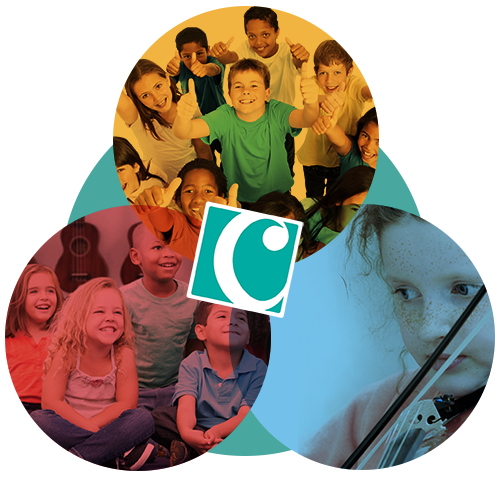 Charanga Musikpartner is a living cloud-based resource that brings together great music, modern pedagogy and the latest educational technology. It supports many aspects of music teaching and learning in and out of school. Musikpartner’s exciting digital presentation and content help to engage children and young people in a very contemporary way. Because they are engaged they are easier to teach. This section of Musikpartner is mainly for teachers in Public Schools teaching classroom music. The resources are grouped by children’s age and for different approaches to teaching. There is a lot to explore and children love the modern approach. The Music School area in Musikpartner is where you find resources, methodologies and material to help teach large groups of children learning an instrument all together. If you are trying to help more children to get the chance to learn instruments by teaching in a larger group, this section will be very useful for you. Inside Musikpartner, Music World is a safe online space where children and young people can go to learn, explore and develop instrumental and musicianship skills as they begin learning musical instruments with their teacher. It’s a magical world of avatars and music activities where children earn coins and badges as a reward for completing exciting musical tasks. A key feature of Musikpartner is My Workspace. This is the area of the platform where you can create, store and share your lessons. It helps you to save time on preparation and extends your students’ learning beyond the classroom. 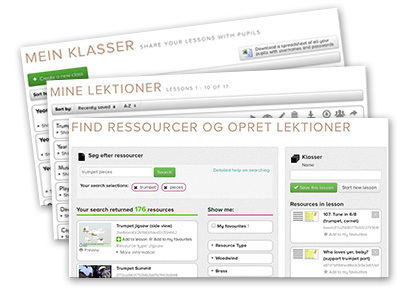 Musikpartner can be purchased for use across an entire Kommune or in a single school. It can be accessed directly off the web with a Charanga username and password or it can be accessed through all major Single-Sign-On systems including Uni-Login in Denmark.